Capable, handsome, and comfortable make the Ranger a huge draw. We haven't seen this much excitement for a vehicle this early in its life in a long time. Even the upcoming Toyota Supra likely won't see anything close to the kind of the demand the 2019 Ford Ranger has experienced lately. The small pickup has been on sale for about a month here in the states, and Ford is now finding itself in the very good position of having to increase production in a really big way. It turns out that dealerships just can't keep up with the sales, and Ford has to run the factory on overtime in order to get more Rangers built. Kumar Galhotra, Ford North America's President recently stated: "Based on the orders coming in, and based on the hand-raisers, we think the demand's going to be so strong, that starting in February our assembly plant will be going into massive overtime." 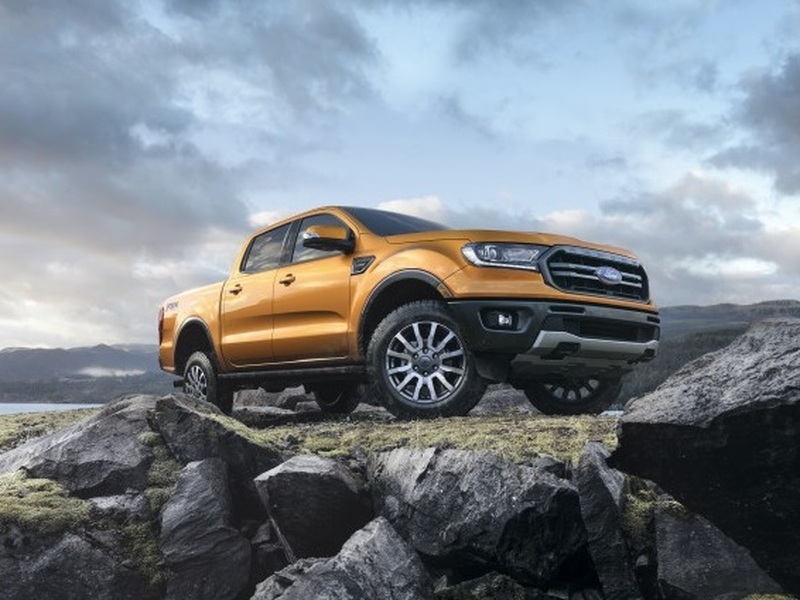 The 2019 Ford Ranger is currently undergoing production in Wayne, Michigan, at the Michigan Assembly Plant, a location that used to build the now gone Ford Focus hatchback and sedan, as well as the poorly selling C-Max hybrid hatchback. Both vehicles were canceled in order to make room for more trucks and SUVs, and it's no coincidence that the 2020 Ford Bronco will also be built at the same plant as the Ranger on which it's based. Though no official production figures for the plant have been released, word is that about 300,000 customers have stated that they want to buy the new 2019 Ranger. That's a huge demand for the mid-size truck segment, especially since the Toyota Tacoma sold almost a quarter of a million units last year as the best-selling truck in the midsize segment. If Ford can hit their numbers for 2019, that will be a monumental achievement in and of itself. The Tacoma in its current generation is in its fourth year. The Ranger will be in its first. And what's not to love about the new Ranger? The truck is based on the European version of the Ranger, but it's been updated for our market. For instance, the steel frame is improved, and the body gets redone for us. Furthermore, the engine is a 2.3-liter twin-scroll turbocharged four-cylinder EcoBoost engine that delivers 270 horsepower and 310 lb-ft of torque, all mated to a 10-speed automatic transmission. Towing is an astounding 7,500 pounds, and payload is 1,860 lbs. Competition is fierce, of course. The new Toyota Tacoma is about to show up, and the upcoming Jeep Gladiator pickup aims to increase sales for FCA. And it's not just the body-on-frame crowd that's showing growth. Hyundai will also build its Santa Cruz lifestyle pickup truck by 2020, which just goes to show that it's smart to get in on the pickup truck game soon. Ford is showing the benefits of that move right now.